Media outlets in both countries have recently reported that hundreds of refugees are staying on the Greek side of the border with North Macedonia in an attempt to cross this border. According to authorities in North Macedonia, rumours spread on social media has led to a high concentration of refugees on the border. Refugees want to go through North Macedonia and then travel to EU states. Deputy PM and Defence minister of North Macedonia, Radmila Sekerinska has announced an increase of military presence on the border with Greece due to this new wave of refugees coming from the neighbouring country. “We’re ready to cope with this growing pressure”, Sekerinska declared on Sunday. According to her, Parliament has decided to deploy military forces in cases of crisis. “A new refugee crisis on the border with Greece can break out overnight”, Sekerinska said. 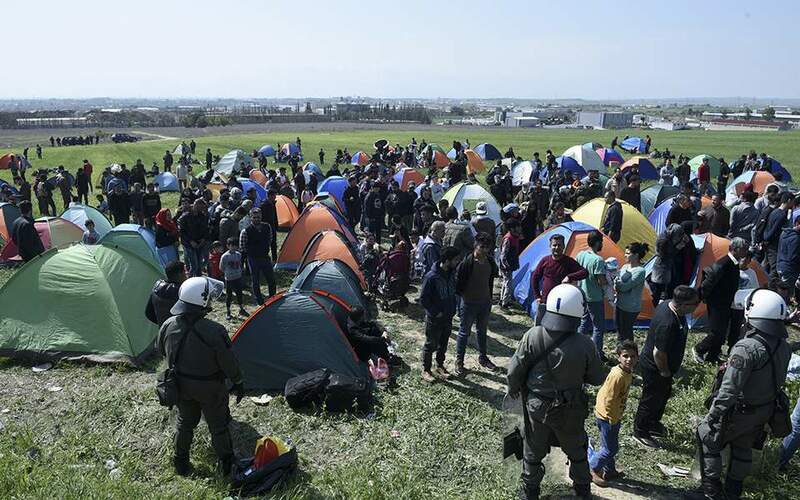 Media outlets have reported that hundreds of refugees from Middle East have been staying for days now at a camp in Diavata, 10 km west of Thessaloniki. They have arrived there following fake news spread on social media stating that the border with North Macedonia would open near the village of Eidomeni. But, when reaching the border, refugees have clashed with Greek police. During the weekend, the situation has been calm, while many police forces have been stationed on both sides of the border.